Well below freezing morning temperatures left my hands numb on the descent into this remote canyon of badlands. 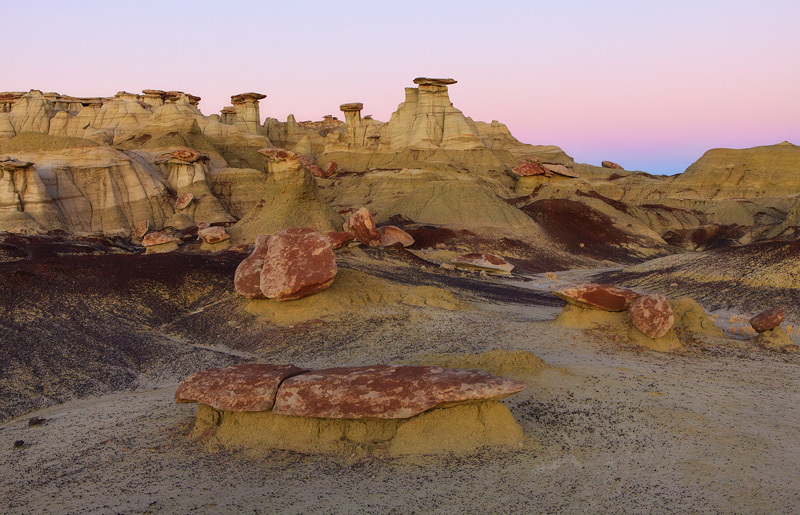 However, I warmed up quickly during my race along the edge of its spectacular hoodoos in search of the ideal photo opportunity as the Earth's shadow faded into the distance. The resulting photograph was probably my best effort of that particularly frigid morning. Photo © copyright by Michael Greene.